Hunter Douglas shades are a beautiful combination of style and functionality. They feature groundbreaking designs that have revolutionized the industry. Each window treatment is masterfully crafted to ensure that the highest degree of durability is attained. The strongest structural techniques are utilized to allow the stunning shades to endure a lifetime. There are three distinct styles of Hunter Douglas Roman Shades. Vignette Modern Roman Shades are designed with consistent fabric folds that are perfect for achieving a crisp, clean look. One of the benefits of these shades is the lack of exposed rear cords, which enhances child and pet safety while also preventing it from appearing cluttered. Fabric options are available from semi-sheer all the way to room-darkening. The material is resilient and will remain wrinkle-free regardless of how many times your shade is opened or closed. There are three styles of Hunter Douglas’s roman shades. Solera Soft Shades will provide all of your rooms with a sculpted look that is sure to catch the eye of both you and any visitors to your home. This unique appearance is courtesy of the cellular construction of the shades, which helps to conserve energy and reduce the heating and cooling expenses for your home. These Hunter Douglas shades also reduce the level of outside disturbances you can hear and improves the acoustics in your home. Lavish woven and non-woven fabrics are offered in a variety of patterns, textures, and colors. Internal lift cords are a safety conscious feature that gives the shades a clean exterior. Design Studio Roman Shades have numerous fabric options so you can create a window treatment tailored to your unique sense of style. Blends of silks, cottons, linens, and synthetics are available in a chic selection of stripes, solids, and textures. Linings are offered in two opacities to deliver energy-saving insulation and light control capabilities. The addition of ornamental valences, trims, and tapes will complete the look. 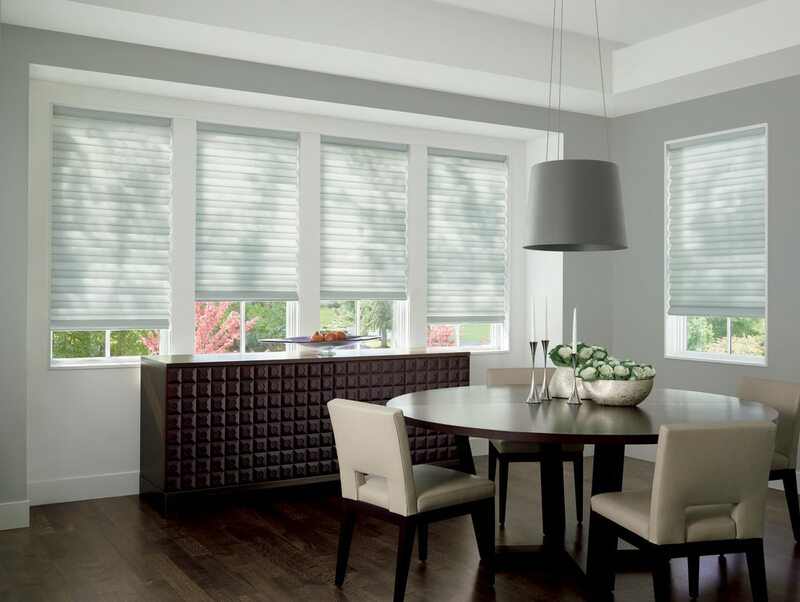 At Rockland Window Coverings, we are a retailer of Hunter Douglas shades, blinds, and shutters. Our expert designers can provide assistance in creating your perfect window treatments that complement your home décor. We have a showroom in Spring Valley, NY and provide the surrounding area, including Pomona, NY and Saddle River, New Jersey (NJ). Call us today for a consultation.